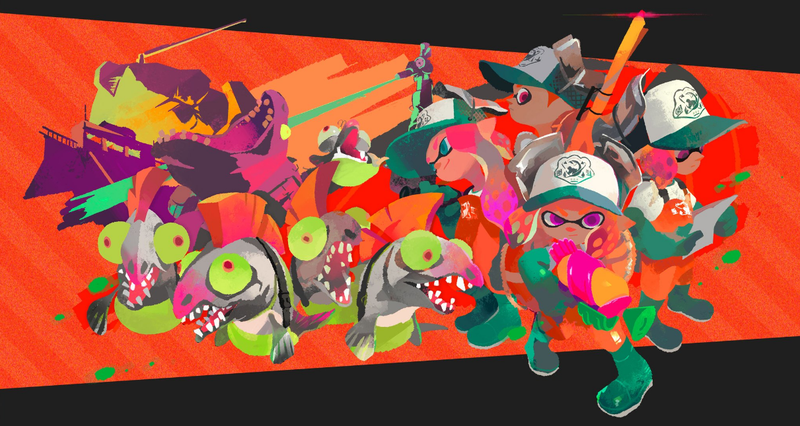 Splatoon 2 will come packed with something called “Salmon Run,” which looks a bit like horde mode—with paint, of course. Up to four players will be able to team up to defeat waves of baddies and collect treasure. Splatoon 2 will launch on July 21st for the Nintendo Switch according to today’s Direct livestream. Here’s the trailer for Salmon Run. Kind of messed up if this is what salmon look like in Splatoon’s future, no? Splatoon 2 will also have plenty of Amiibo to collect. According to the trailer, you’ll be able to befriend the toys, and they’ll save outfits for you that you can bring across games. Neat.